was founded in 1990 by a group of black professionals whose shared vision was of a dynamic organization that would promote the entry, development and advancement of its members into business organizations. In doing this, it would make a positive contribution to the African and Caribbean communities and to the economy of the UK. Since 2003, African & Caribbean Diversity’s Mentoring and Enrichment Programme has been bringing together volunteer mentors from city-based companies, largely from multinational corporations, and 14 to 18-year-old black British young people from London’s state schools. The key aim of this highly intensive 4-year programme is to improve the academic attainment, career prospects, and social mobility of these students. The project targets those pupils identified by their schools as having academic potential, but who largely come from households that face inter-generational economic and social exclusion, as a result of poverty. This exclusion can deny them the information and self-belief needed to either continue education post age 16 or to access higher education, especially to UK’s most competitive universities. We help students with high potential see the importance of education through university residential, workshops, company visits and one-on-one sessions with corporate mentors. was established in 2014 in the Netherlands with an aim of empowering young generation with global citizenship values, and 21st century skills, supporting them to overcome academic and social challenges, and promoting lifelong learning. The main objectives of Amalied Foundation are: Enhance stakeholders’ awareness and responsibilities toward educational development, challenges, and future needs; Provide various programs and activities scientifically designed and targeting certain educational development and support for young generation; Work as a platform which offers various stakeholder the opportunities of exchanging of knowledge, expertise and resources. The uniqueness of Amalied programs and activities do not rely only on the holistic learning opportunities provided to young generation, but also by engaging various social development stakeholders (parents, schools, teachers, professionals, researchers, corporations, & universities) in the learning process to ensure long term constructive sustainable development programs. Since the start, Amalied foundation has been keen to work the educational experts and institutes in the Netherlands to develop optimum programs and activities in/outside schools that support overcoming some of traditional education system challenges and needs. Collaboration among all stakeholders is one of the key success factor of Amalied foundation, and we continuously strive to establish long lasting relationship with different organizations (government & non-government) in order to reach our vision of contributing to positive changes in the society. 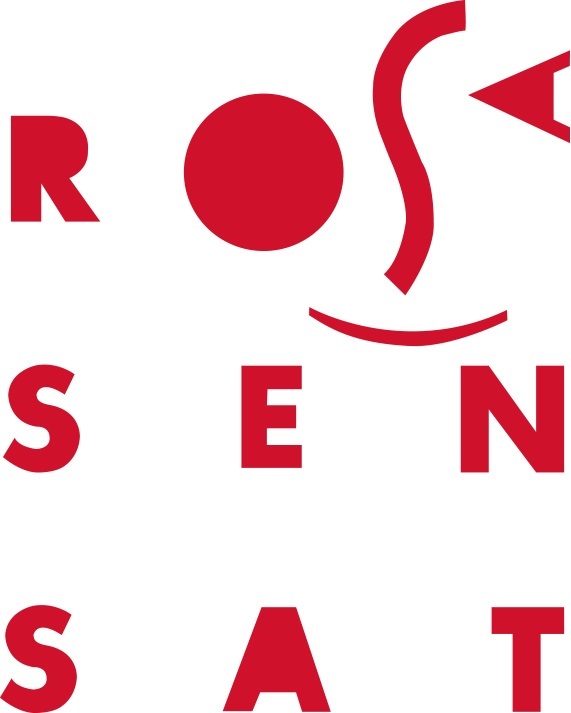 Rosa Sensat Teachers Association is an educational movement, located in Barcelona, created in 1965 that continues working to improve education. Our aim is to contribute to achieve the democratic school and to express opinions and views on policy and the educational reality, as well as the promotion of the Catalan language. Our activity promotes teacher training and the exchange of good practice between schools. We work to build a new school breaking with the traditional teaching, to respond to social needs and technological change. Cooperativa Sociale TerreMondo a.r.l. is a non profit private organization founded in 2003. The aim of the cooperative is to promote human and social integration among citizens, through the management of socio-cultural and educational activities. In particular it promotes, together with ASAI (a volunteer association in Turin, www.asai.it), after-school activities linked to social and cultural workshops and socialization activities for children and young people (both migrant and Italian), in order to stimulate transversal and soft skills. It also carries out intercultural activities, prevention interventions, Italian Language courses for foreign people (young and adults), job orientation and mentoring, collaborations with schools for promoting education and cohesion within the classrooms in order to achieve more effective results in educational and integration fields and to stimulate the active engagement of stakeholders and policy makers. In the last years, the cooperative has been carrying out several projects in the field of migrant education, namely Multilingual Teaching Materials Forum for Migrant Pupils in Europe. 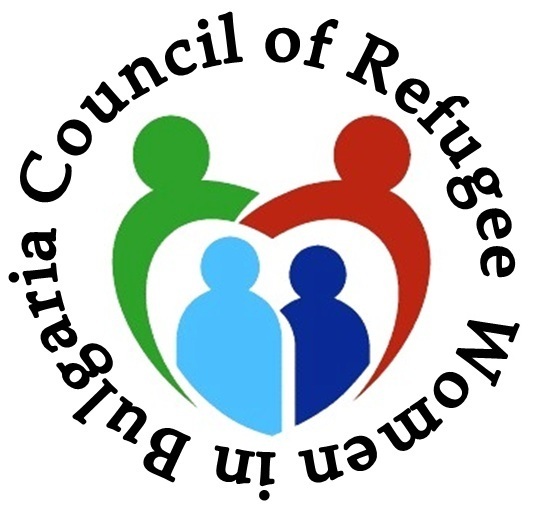 The Council of Refugee Women in Bulgaria Association (CRWB) was created in 2003 by a group of refugee women and was officially registered as a non-governmental organization by the Bulgarian government on March 17, 2003. This Program is created for beneficiaries of international protection, as well as for asylum seekers. It operates through an Information and Consultation Center, a Storage and on-site direct outreach for asylum seekers accommodated in the facilities of the State Agency for Refugees in Sofia city. People can receive support in the process of social adjustment and integration through social consultations and provision of information, translation, accompanying to medical/state/municipal facility, provision of humanitarian aid, administrative assistance, etc. The advocacy and networking activities include cooperation with state agencies and non-governmental organizations, participation in networks, workgroups, studies and partnerships with all stakeholders on national and international levels. The experts in the organization design and conduct trainings on multicultural approach in social counseling, violence survivors, crisis intervention and traumatic experiences, child protection, case management, burn-out prevention and prevention of the social exclusion for vulnerable groups. The publicity and fundraising activities are focused towards development and implementation of a comprehensive strategy to work on awareness raising and sensitivity building among the society on the topics related to refugees, social adaptation and integration. The publicity and fundraising activities include also organization of social events, donation campaigns and communication with individual and corporate donors, to attract volunteers. To support the efforts of refugees and asylum seekers in finding opportunities, life and integration in Bulgaria. To remind that human rights are equal regardless of race, social class, religion, or gender. To raise awareness among Bulgarian society, organizations, and institutions on the refugees’ difficulties and struggles in a new and unknown environment. is an international NGO based in Brussels that represents the Salesians of Don Bosco in different institutions and other international NGOs. Its main objective is to be a communication channel between any Don Bosco project dealing with Education, Culture and Youth; and influence policies on these fields at both national and EU level. Currently Don Bosco International is focused on three main topics: School to work transition, poverty and social inclusion, and migration and refugees. Our main activities are organization of expert meetings, hosting Salesian Delegations in Brussels and promoting child and youth participation, both locally and internationally. Education Reform Initiative (ERG), is an independent and not-for-profit think-and-do-tank that contributes to systemic transformation in education for development of the child and society through sound evidence, constructive dialogue and innovative/critical thinking. Evidence-based decision-making processes in education concerning stakeholder engagement and ensuring the access of all children to quality education are the key elements of systemic transformation. ERG, established in 2003, is a good example for the Turkish civil society, since it is an initiative supported by leading foundations in Turkey. ERG carries out its’ research and education activities through ERG Education Observatory unit and Education Laboratory. Education Observatory is a qualified open data source to improve education system in Turkey and to make decision making processes based on data. It shares constructive opinion and offers suggestions to improve education policies in Turkey. By keeping track of recent developments in education, Education Observatory publishes its annual “Education Monitoring Reports” since 2008. In addition to this, ERG monitors and reports on a wide range of educational issues in Turkey such as, but not limited to, the education of Syrian students, inclusive education practices, education of students with special needs, teacher policies, content of education, religion and education etc. It also generates policy recommendations and publishes policy notes with the aim of improving progress and outcomes of education policies and moulding public opinion. Education Laboratory creates shared wisdom on education by bringing professionals, institutions and organizations from various fields of expertise together. It believes in creativity for innovative solutions that would make a difference in education by bringing ERG’s background and network in education together. It organizes the Good Practices in Education Conference where educators, people and institutions that are willing to create a difference in education come together and share good examples and materials, interact and learn from each other. It also creates an opportunity of “encounter” for teachers to initiate collective projects and have a pleasant time. It has also organized Turkey’s first teacher festival Festival for Teachers. is a public research institute, established in 1965 in Slovenia. Since then, ERI has conducted researches in education – basic research, developmental and applied projects, using interdisciplinary approach in covering different issues of interests in all sectors of education. ERI is also active in initiating and evaluating developmental projects in education, and developing and implementing teacher training programmes. Besides other topics of interests, ERI is focused on civic education and young people political development, multicultural relations in schools, and social inclusion of underprivileged children (e.g. Roma and migrant children). Currently, ERI is the leading partner in Erasmus plus project HAND in HAND (2017 – 2019), which addresses diversity in the learning environment with the development of universal social and emotional learning program for students and teachers based on multiculturalism. Erasmus University Rotterdam is a highly ranked, international research university, based in the dynamic and diverse city of Rotterdam. We integrate academic research with excellent, challenging and inspiring education. The Erasmus School of Social and Behavioural Sciences (ESSB) is home to a vast diversity of study programmes and scientific disciplines: Public Administration, Pedagogical Sciences, Psychology and Sociology. In addition, the Erasmus University College, IHS, and two research institutes RISBO and DRIFT are linked to the faculty. Our education is small-scale and based around Problem Based Learning (PBL). Being connected to the professional field is another characteristic of our study programmes. People and society are the central subject of research and education at the ESSB. We value the connection with the outside world. We want to play an active role to the solution of social issues in our society, by bringing professionals, policy makers and citizens in contact with our scientific knowledge. founded in 1993, is a research institute at the University of Bamberg, Germany, studying the causes, consequences and broader implications of migration with the aim of contributing to an informed discourse on migration and integration in Germany and Europe. Its work in the areas of migration, education, integration and anti-discrimination encompasses research, documentation and publication, as well as evaluation and consultative services, organisation of expert workshops and conferences and providing information to the public. The efms has long experiences in the field of migrant education through numerous studies and evaluations, e.g. the studies ‘Ethnic Inequalities in the educational career’ on behalf of the Mercator Foundation; ‘Data collection on educational measures, educational material and non-school educational institutions for the decrease of prejudice’ on behalf of the Rothschild Foundation Europe; and the NESSE Analytical Report 1 for the EU Commission DG Education and Culture ‘Education and the Integration of Migrants – Challenges for European Education Systems Arising from Immigration and Strategies for the Successful Integration of Migrant Children in European Schools and Societies.’; and various evaluations of educational measures for migrants. has been the sole representative of parents as stakeholders, especially in education since 1985. Our main activities are aiming at the recognition of parents as primary (first and most impacting) educators of their children, the recognition of parents’ rights and duties in legislation, especially in the field of education, and the acknowledgement and execution of governments’ responsibility to provide support for parents in their parenting. Part of our advocacy work is for the recognition of the rights of the child especially by child participation in all aspect of education, including school leadership. Currently our activities cover 31 countries, the whole of the EU except Greece and some non-EU countries. We have advocated for the special interests of migrant parents as learners, educators and the responsible people for the education of their children. We were one of the first to raise problems around the right to mother tongue. is a well-recognized civil society organisation active since 1992. It works on harmonizing the educational system in Croatia with the educational standards of modern democratic societies, guided by the principles of choice and equal access to education that enables the self-realization of a person. Our innovative, high-quality programmes provide support to teachers and schools, children and youth, university lecturers and professionals working with children and youth in the educational and the social welfare systems. The programmes of teaching advancement, civic and health education, skills of non-violent conflict resolution and improvement of school management are designed for those stakeholders. The goals of the programmes of the Forum for Freedom in Education are achieved through professional training seminars and educational activities, studies and analyses, campaigns and creative competitions, as well as through direct work with teachers and schools. Particular attention is paid to the development of high-quality programmes for children and youth so that they can gain knowledge and skills for their participation in societal and democratic processes. is a Youth foundation, established in 1984, based on the conviction that encouragement, confidence, responsibility and understanding are necessary in order to enable young people to develop their innate abilities and find their way into society. In Sweden, Fryshuset operates at several locations in Stockholm as well as in Malmö, Gothenburg, Kalmar and Copenhagen and also in Copenhagen Denmark, in addition, through numerous national and international projects. Our strength lies in the field of empowerment and social inclusion of youth, in particular the most vulnerable and disadvantaged in society. We strive to achieve this by providing educational, labor market and employment programmes, support to youth initiatives, information to youth and create opportunities for quality spending of free time, as well as providing programmes dealing with the prevention of various types of destructive behaviour, violent extremism and social exclusion. Fryshuset even offers expertise of honour related violence and oppression, mental and social rehabilitation programmes, developing and disseminating effective approaches for combating the formation of destructive subcultures and expertise on inclusive practice in all aspects of educational environments and leadership development. is a scientific association, established officially in 2011, situated in the city of Athens, in Greece. HAIE is the official branch of the International Association for Intercultural Education (IAIE) in Greece. Amongst HAIE’s aims are the dissemination of the Intercultural Education in educational settings and in school praxis through seminars and conferences; the collaboration with institutions, national and international organisations which are associated with the IE/ ME issues, Human Rights, Minority and Migration issues; the collaboration with entreprises and adult training centres for the organization of seminars on IE/ME issues, Intercultural Mediation and Counselling, Human Rights and Minority and Migration issues. IBE is a research institute supervised by the Polish Ministry of National Education (MoNE) with the primary mission of researching the functioning and effectiveness of the Polish education system. By conducting rigorous, interdisciplinary research, developing innovative solutions, providing expertise and consultancy, as well as undertaking wide-reaching dissemination activities, IBE supports evidence-based policy and practice, in the country and internationally. IBE has been responsible for the national coordination of large-scale assessments (PISA, TALIS, PIAAC, SHARE, ESLC, TIMSS and PIRLS) and has been active in other international studies (Horizon 2020, Erasmus+). From 2010 to 2015, IBE supported the MoNE within large-scale systemic projects in the area of education, the qualifications system and lifelong learning. Currently, IBE works with over 120 researchers – sociologists, psychologists, educators, economists, political scientists, and representatives of other disciplines, as well as social partners (employers’ organisations, trade unions). 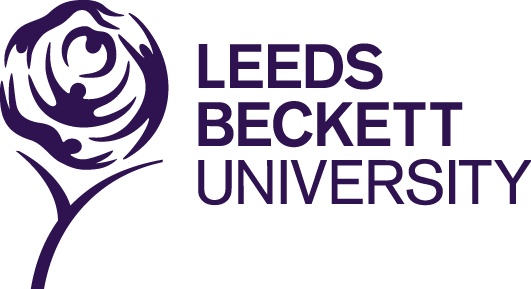 (Leeds Beckett) is a higher education institution that provides access to education for a wide range of learners, promoting cultural awareness and diversity through our curriculum. The University is located on two main campuses; one in Leeds city centre and one in Headingley, Leeds and offers a range of undergraduate and post-graduate courses across four faculties – the Faculty of Arts, Environment & Technology, Faculty of Business & Law, Carnegie Faculty, and the Faculty of Health & Social Sciences. Leeds Beckett has almost 30,000 students, 3,000 staff and 300,000 associate students through our network of 24 partner colleges. The Carnegie School of Education provides training and research in the areas of childhood, youth, education, teaching, learning and leadership. It the largest provider of Initial Teacher Training and Continuous Professional Development programmes in North East England and carries a vast experience in this area. The School of Education is the host of Centre for Research & Innovation in Childhood, Education and Society (RICHES) which has a history of contribution to Educational research, particularly in the following areas: Citizenship Education, Diversity and Inclusion in Education, Inclusion and Special Educational Needs, Higher Education and Early Years Education. The Forum of Ethnic Minorities (Minderhedenforum) is an umbrella organisation officially recognised by the Flemish government since 2000. It has about 1.800 local member migrant organisations which are from very diverse ethnic backgrounds. It is the spokesperson for integration, employment, education, poverty reduction, health and social care, cultural and youth policies. The Forum of Ethnic Minorities is member of the official education council (VLOR). We follow education policy on enrolment and social mix, equity funding, kindergarten attendance, study and career guidance, overrepresentation of migrant children in special needs schools and vocational education. We participate in debates on diversity in higher and adult education and host language learning policies. has been working on community development, civic participation, solidarity, integration of migrants and refugees and human rights since 2011. The organization operates both on grass-root and policy level. It is based in Sofia but in 2015 it grew to a social franchise in the 6 biggest Bulgarian cities. MKC has vast experience in campaigning, awareness-raising, organizing cultural events, trainings, research, monitoring, policy analysis, advocacy, working closely with policy makers, NGOs, researchers, migrants, refugees and youth. MKC’s projects have been featured as social innovations and best practices on national and EU level. MKC has been the national partner of the EU policy network on migrant education SIRIUS since 2014 and in December 2016 was one of the co-founders of the Brussels-based NGO called SIRIUS. MKC has also been the national coordinator of the European Website on Integration of the European Commission since 2013.
is an international non-governmental membership organization that gathers 24 institutional members from 19 countries. NEPC has been founded in 2006 and formally established in 2008. NEPC members are public and civil-society organizations dealing with education at different levels from educational research and policy analysis to teacher training and school-based activities. NEPC Secretariat, established in Zagreb in 2006, has implemented over a dozen multi-country projects addressing and exploring current issues in education, driven by the need for independent and information-based policy analyses, advocacy for equity, and effective, sustainable solutions in education policy processes in the last couple of years. The mission of NEPC is promoting flexible, participatory, evidence-based, transparent education policies reflecting open society values, which mean proactive policy initiatives as well as advocacy and monitoring activities of governments and national education systems. is an independent national network of 175 immigrant led groups comprising of 65 nationalities with offices in Dublin and Cork with outreach to other cities. The mission of NCP is to act as an effective network representing and empowering ethnic minority-led groups and leaders, at all levels, in order to influence positive change in policies that impact on their lives. We support and strengthen our Irish citizenship communities by: providing communal/social space for ethnic minority led organisations to interact, exchange ideas and empower themselves; offering a unified and inclusive voice for ethnic minority communities, including those still applying for citizenship, through coordination and networking at grassroots level; making available and circulating information to our member organisations, volunteers and the wider ethnic minority community; representation and participation of ethnic minorities in decision making processes and consultative forum; among others activities. is an independent, non-profit, civil initiative think tank located in Tallinn, Estonia. Praxis was founded in 2000 and has now become one of the biggest think tanks dealing with socio-economic topics in Central and Eastern Europe. Our mission is to enrich the public debate, create valuable knowledge and effective solutions for policymakers, the third sector and to other interested people. 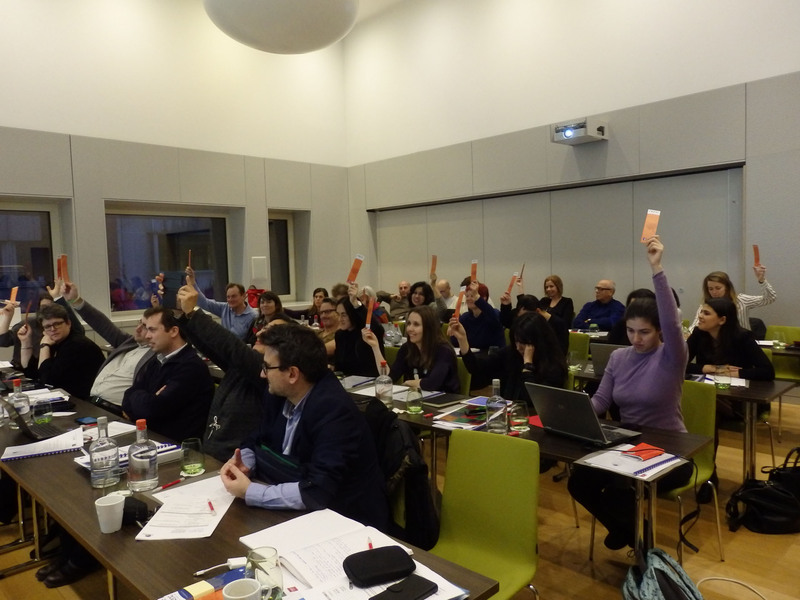 We are inspired by the idea that our work will contribute to meaningful changes in Estonia. Applied research forms the largest part of our work and is the foundation for everything else. In addition to analysis, out of the box ideas are also needed for social development so that habitual behavior does not lead to stagnation. As a third sector organisation, we are the catalyst and experimenter for ideas which national authorities deem too risky. To reach real changes, we also offer support by training and advising people in our fields of work. is one of the leading public policy research centres in the Baltic region. Since 2001, the PPMI’s research and advice has contributed to improvement of public policies in Lithuania and the EU. The work carried out at PPMI has provided rationale for public sector reforms in education, R&D, public administration, economy, and labour mobility. Over the years the Institute has increasingly focussed on international projects. At the moment, around 80% of our revenue come from the services we provide for EU institutions (such as European Commission and the European Parliament), EU decentralised agencies (such as Cedefop and Eurofound) and other EU bodies (such as Committee of the Regions). The PPMI has 50+ permanent staff that combine rich academic background and in-depth practical knowledge of public policy and management issues at the national and EU levels. In conducting comparative policy research and evaluation we work with a wide network of partners across Europe. is an independent institution for research, training and advice, linked to the Faculty of Social Sciences of Erasmus University Rotterdam. For some 25 years our experts have worked intensively on three themes: educational consultancy, research and training programmes, metropolitan (social) issues, and innovations in the public domain. Our strength lies in our scientific approach, combined with a pragmatic, project-oriented method. Themes are Educational and Social Inclusion, Integration and Educational Network Governance as part of both national and international studies all educational levels. In addition, Risbo offers expertise in the area of quality assurance, professional development, curriculum innovation and organizational development and ICT & education” Main projects are EU projects in the field of teacher capacity, multilingualism, refugee education, newcomers, inclusive classrooms. And local projects for municipalities and national government on youth, migration, radicalization, (pre)primary education, activation and citizen participation. The SCS/CNOS Federation was founded in 1993. It is an association promoted by the Italian Salesian catholic congregation with the mission of promoting socio-educational services; preventing youth discomfort and marginalization; coordinating Civil Service and voluntary activities in Italy and at international level. The SCS/CNOS is based on the human experience and teachings of St. John Bosco and the Salesian educational system. The Federation has two main purposes: coordination and promotion of activities in the area of ​​volunteering and civil service; dissemination of a culture of acceptance and respect for the human person, through the design and implementation of educational interventions in favor of children and young people, in conditions of marginalization and social exclusion. The main targets are vulnerable and abandoned young people/minors with justice and addiction problems and at risk of drop-out. The Federation SCS/CNOS is present all over Italy with a network of services, operators and volunteers. SCS-CNOS works also at regional level, stimulating its members associations to work together in 4 interregional committees (based in Torino, Roma, Napoli, Catania), to have more impact to local level and involve a huge number of volunteers and operators. SCS-CNOS consists in 8 strands: Promotion of minors’ wellbeing and life quality; Refugees and migrants reception; prevention and treatment of addictions; Social vulnerability and poverty; social and job insertion; Promotion and training to volunteering; Education and promotion of socio-cultural activities and leisure time for young; Civil service. is a research institution based at the Faculty of Psychology and Education Sciences of the University of Porto, Portugal. Established in 1988, and sponsored by the national research funding agency (FCT), CIIE develops research on key issues of educational and social change and processes, in order to broaden the role of education in promoting equity, social inclusion and active citizenship. CIIE aims at undertaking high quality research in education and in related areas, that produce novel interdisciplinary advances in knowledge and increase its international profile. CIIE undertakes projects of national and international significance, to inform educational policy and improve practice. CIIE also works to enhance collaborative research through the reinforcement of cross-disciplinary research, the expanding of national-level partnerships and establishing international consortia and networks, mostly with European, Portuguese speaking countries and Latin-American organisations and academics. produces research that contributes to understanding economic and social change in the new international context and that informs public policymaking and civil society in Ireland. Since its establishment, ESRI researchers have leveraged their conceptual and empirical research in economics and sociology to provide analysis that helps inform economic and social policymaking in Ireland. Key features of the research are its strong empirical base, its policy focus and its coverage of many of the major areas of relevance to current policy issues in Ireland and the European Union. The Institute’s principal output is knowledge that is disseminated widely in books, research papers, journal articles, reports, and public presentations. All knowledge output is quality assured through rigorous peer review processes. is the umbrella organisation of 45 National Unions of Students (NUS) from 38 countries. The aim of ESU is to represent and promote the educational, social, economic and cultural interests of students at the European level towards all relevant bodies. Through its members, ESU represents over 15 million students in Europe. ESU’s mission is to represent, defend and strengthen students’ educational, democratic and political and social rights. ESU will work for sustainable, accessible and high quality higher education in Europe. established in 1977, is the social partner in education at European level and a defender of teachers’ interests to the European institutions. Nowadays, ETUCE represents 132 education unions in 50 countries with more than 11 million members all over Europe, including in non-EU countries. ETUCE’s main mission is to defend, represent and advocate for teachers’ rights, working-conditions and social protections in a broad sense. ETUCE work comprises advocacy, lobbying, EU social dialogue representation, policy development and research as well as project management and implementation in diverse policy areas at EU level such as employment, digitalisation and ICT, migrant education, gender equality and education and training in a broad sense. ETUCE is composed of national trade unions of teachers and other staff in general education at all levels of education. ETUCE is the European region of ‘Education International’, our worldwide umbrella organisation and a European Trade Union Federation of the European Trade Union Confederation (ETUC). ETUCE and its member organisations are committed to migrant and refugee inclusion in education, particularly with the resolutions adopted at the multiannual ETUCE Conference celebrated in Belgrade in 2016 on “Education Trade Unions on the Refugee Situation in Europe: Promoting Education as the Key to Integration and Inclusion”; “Refugees and displaced children’’; and “Education for democracy”. is an independent non-profit European organisation committed to contributing to lasting and positive change resulting in open and inclusive societies in which all members have equal rights, responsibilities and opportunities in developing the economic, social and civic life of Europe’s diverse societies. MPG stimulates well-informed European policy debate, cooperation and action to achieve this goal in the three programme areas of Migration & Mobility; Anti-discrimination & Equality; and Diversity & Integration. MPG takes a consistent and dynamic approach to all three inter-related programmes. MPG wants to see open and inclusive societies in which all members – those with and without an immigrant background – have equal rights, responsibilities and opportunities and a commitment to contribute to the economic, social, cultural and civic life of our diverse societies. was established in 2004, as one of the steps undertaken by the government to implement its strategic plan “Equal Education in Practice! A strategy for better learning and greater participation by language minorities in kindergartens, schools and education 2004-2009“, and is a part of Oslo and Akershus University College of Applied Sciences. NAFO carries out assignments given by The Directorate for Education and Training, and focus on competence –building, networking and implementing developmental projects with the aim of promoting inclusive and equal education for linguistic minorities in kindergartens, schools and institutions of adult education. The Centre’s target groups are owners of day-care centers, kindergartens, schools, and adult-education centers as well as administrators of schools and kindergartens, teachers, staff of the pedagogical psychological counseling services and professionals at universities and university colleges. is the platform for cooperation between the national school student unions active in general secondary and secondary vocational education in Europe. It was founded in April 1975 in Dublin, Ireland and brings together Member, Candidate and Affiliate Organisations from all over Europe. All Member Organisations are independent, national, representative and democratic school student organisations. As OBESSU we stand together to represent the school students as stakeholders of their educational systems, and in issues concerning their lives; to provide the national school student unions with assistance and support and to co-operate for the development of school student representative structures; to encourage and enable exchange of experience and good practice among the national school students unions; to promote equal access to education and to strive for the end of all discrimination and injustice within the educational systems; to contribute to the development of democratic educational systems in Europe, that promote active citizenship in all forms; to promote solidarity and understanding between young people; to promote new teaching methods in learning and promote healthy teaching environment. is an international, multidisciplinary university whose areas of expertise include arctic issues, tourism, art and design, law, education, and the social sciences. At the heart of our university’s research profile lies Arctic and northern change. The effects of the global economic and political changes and global warming are particularly severe in the Arctic region. We produce scientific knowledge on northern societies and environment and their interaction with each other to ensure that life in the Arctic and northern regions will flourish also in the future. The research group Edubron was set up in 2000 and is part of the Department of Training and Education Sciences within the Faculty of Social Sciences of the University of Antwerp. Edubron provides training and education research with impact, both at the national and the international level, by generating high-quality, innovative research, with both academic and societal relevance. Østfold University College has around 100 studies taught in new and modern premises. The university college has a total of just under 7,000 students. There are nearly 3,600 ordinary students at campus Halden, nearly 2,400 ordinary students at campus Fredrikstad, and nearly 1,000 students are taking continuing and further education programmes under the auspices of HiØ VIDERE (Centre for Continuing Education) at both campuses. In total the university college offers programmes in Computer Sciences, Education, Business, Languages, and Social Sciences, Health and Social studies, Engineering, and Theatre Academy. works as the Lead Researcher and program director for doctoral studies in Pedagogy at the Riga Teacher Training and Educational Management Academy, Latvia. In 2012-2016 Dr. Ose served as an adviser to the Minister of Education and Science of Latvia on social cohesion matters, as well as in 2016 led the group of experts on social cohesion launched by the President of Latvia Raimonds Vējonis. She also has rich experience in social inclusion policy development and implementation, having worked both with the state authorities responsible for welfare and integration and the NGO sector. 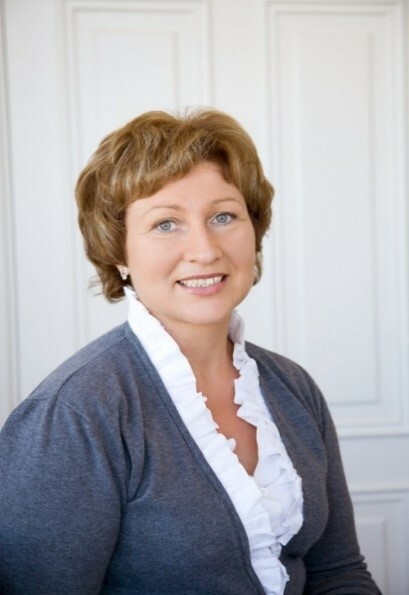 Currently she represents Latvia as a vice – president of Council of UNESCO International Institute of Education. As a researcher, she participates in the Network of experts on the social dimension of education of training (NESET II), supported by the European Commission. Dr. Ose is an author and researcher; she has published several books and research papers on education, social pedagogy, and social policy. Her current scientific interest lies in the realm of intersection between education policy and pedagogy, diversity and migration studies and she aims to foster intercultural competence among teaching professionals: Pedagogy of Trust is the concept in process Dr. Ose is working on right now. holds an Honorary Readership at University College London and is Director of the International Centre for Intercultural Studies based at the UCL Institute of Education. In addition, he is also Reader in Jewish Education at Leo Baeck College, London. He was previously based at Anglia Ruskin University where he was Principal Lecturer in Education and director of the Doctorate in Education programme. Having graduated in sociology and trained as a secondary school teacher he subsequently taught social studies in London secondary schools and, at the same time pursued postgraduate studies in education, eventually gaining a doctorate in comparative education. 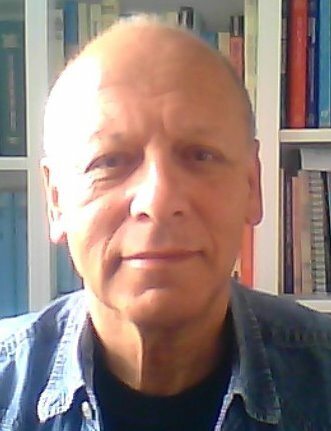 He has published widely, having authored, co-authored, edited and contributed to a number of volumes, as well as journal articles, in urban, international and intercultural education. His current research interests are: religion, the state and education; diversity, equity and education; intersectionality and cultural issues in education. He is currently Secretary General of the International Association for Intercultural Education. is one of the three government-recognized NGOs in Belgium with the mission of assisting and protecting victims of human trafficking. Payoke’s mission, is to reintegrate victims of human trafficking back into society, either in Belgium or in his/her country of origin, through legal, psychological, social, and administrative assistance. It provides his clients with services that cover the full spectrum of victim assistance and support, with a focus on human rights and confidentiality. born in 1977, has 6 years of experience as a trainer, consultant and training expertise. Her work extends up to teaching intercultural competence awareness at the “Bachelor en Sciences Sociales” at the University of Luxembourg, and training mediators in conflict resolution and cross-cultural communication. Her fields of expertise include intercultural communication, conflict resolution and facilitation. Her training activities started in 2011 in Luxembourg and continue since then varying methods, approaches and application fields. Experience in training includes intercultural team building (University of Luxembourg) and facilitation at the Citizens’ debate on Space for Europe (Luxembourg). Beyond front line training and coaching, she is very active in the production of new models for training and coaching. Her Study Curriculum includes: Master of Arts in Philosophy (University of Luxembourg); Training in Intercultural Communication (LTS Training and Consulting, UK); Mediation engineering (University of Luxembourg); Certification in Intercultural competence (Centre Bruxellois d’Action Interculturelle, Belgium). Her current activities range between: Conducting advanced training programs in intercultural communication; Research into active training techniques for intercultural competence; Project management of training programs, coaching and consulting. is at the crossroads of Europe and the Mediterranean and has strong commitment to higher education and research. The University hosts 20 475 students, 29 Bachelor’s degrees, 50 Master’s degrees, 1 University Institute for French as a Foreign Language with a specific attention to migrant students. The academic offer includes Literatures, arts, philosophy and psychoanalysis, Languages and Foreign and Regional Cultures, Humanities and environmental science, Economic, political, social and management sciences, Anthropology, Sociology, Psychology, Education, Mathematics, Computer Sciences, Institute of Information and Communication where training teachers for migrant students is provided. The institution is a research University with 2 Doctoral Schools , 19 research units, 52 doctorates, 684 teachers / researchers and 710 PhD students. The University promotes Humanities through sustainable cooperation hosting 3875 international students, 1100 students on exchange programs, 150 different nationalities on campus, 137 cooperation agreements throughout, 400 Erasmus+ agreements in Europe, ISEP & BCI Specific agreements and 31 visiting professors. (Flemish Education council): is the strategic advisory council for the education and training policy of the Flemish Community. It gives advice on request of the Minister of Education and Training or the Flemish Parliament, or on its own initiative. In both cases it translates the expectations and suggestions of all the stakeholders in the field of education and training into recommendations for the government. The second task of the Vlor is to organize consultation between different educational and social partners. In support of its consultation task and to deliver well-founded advices, the Vlor uses the results of national and international studies and reports (by UNESCO, OECD, …) and invites experts to share their insights. The Vlor also regularly organises seminars. 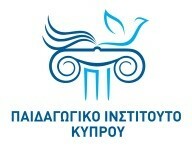 The vision of the Cyprus Pedagogical Institute is the continuous professional learning of the teachers at all levels as well as the substantial contribution to the planning and implementation of educational policy, taking into consideration the literature and research and the priorities set by the Ministry of Education and Culture in order to improve the quality of the educational system. The mission of the Cyprus Pedagogical Institute is the setting of framework for the teacher competences and the promotion of horizontal issues of educational priority, improving the content and effectiveness of the education provided in accordance with the wider international, European and local context. Cyprus Pedagogical Institute (PI) is, according to recent Council of Ministers Decisions (August 2015, July, 2017) the official department of the Ministry of Education and Culture which runs the professional learning of teachers. The Cyprus Pedagogical Institute coordinates the work of the Interdepartmental Committee for the Integration of Students with migrant background in the Cyprus educational System. The Finnish National Agency for Education (EDUFI) is a national development agency working under the Ministry of Education and Culture. Our tasks and organisation are set in the legislation. The core tasks are to develop education and training, early childhood education and lifelong learning and to promote internationalization in Finland. EDUFI implements national education policies, and assists the Ministry of Education and Culture in the preparation of education policy decisions. EDUFI prepares the national core curricula and requirements for qualifications, and provides services for the education sector, such as publishing education materials. EDUFI also provides an application service and admission register for secondary and tertiary education and training and works on issues of recognition and international comparability of qualifications. The agency is managed by the Board, the members of which represent political decision-making, local authorities, teachers and social partners. is the Portuguese public institution responsible for interlinking different ministries to develop, implement and evaluate crosscutting integration policies that targets migrants and Roma communities, and that promote intercultural and interreligious dialogue, combating all forms of ethnic and racial discrimination. Within the scope of its attributions on integration and interculturalism, the ACM has the mission of implementing intercultural education practices that promote the welcoming, the integration and the success of all children and youngster, as well as to develop the opening to difference and the establishment of positive interaction relations between students and other members of the educative community culturally diverse. within the Ministry for Education and Employment in Malta seeks to promote the inclusion of newly arrived learners into the education system in Malta. The Unit strives to ensure the emotional well-being of migrant learners through a holistic educational experience and to enhance the learner’s communicative competence in order to be able to cope as quickly as possible in a mainstream class. The Unit also strives to encourage migrant parents to participate fully and in an informed manner in the educational trajectory of their children. The MLU has led various EU co-funded projects and is currently heading the LLAPSI + (Language Learning and Parental Support for Integration +) project which is co-financed through EU – Asylum, Migration and Integration Fund (AMIF 2014- 2020). The MLU is also a partner in the Erasmus + project – UPPeR which focuses on Peace Education. The Ministry of Education and Culture is one of the twelve ministries that together with the ministers heading them form the Finnish Government. The Ministry of Education and Culture participates in the work of the Government by planning, outlining and implementing its policies. The Ministry prepares acts, decrees and decisions, and it is responsible for the preparation of matters related to the use of budget funds. The Ministry is responsible for ensuring that the political decision-makers have all the necessary information at their disposal when making decisions. The Ministry also guides the activities within its administrative branch, represents Finland in various EU bodies and participates in international cooperation. The mandate of the Ministry of Education and Culture covers daycare, education, training and research, arts, culture, sports and youth work, the archival, museum and public library systems, the Evangelical Lutheran Church, the Orthodox Church and other religious communities, student financial aid, and copyright.